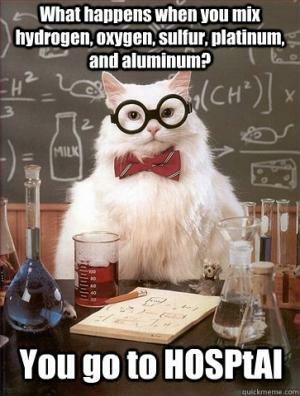 What happens when you mix hydrogen, oxygen, sulfur, platinum, and aluminum? Bromine, oxygen, and sulfur meet at a pledge party. 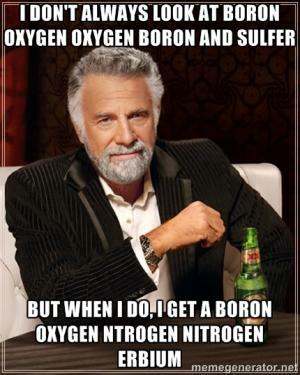 Dry air is 21 percent oxygen, 78 percent nitrogen and 1 percent other gases. 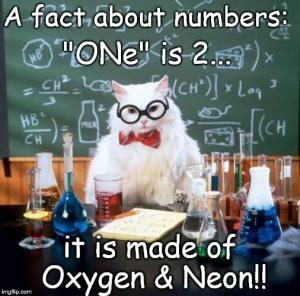 Oxygen is made in stars which have a mass of five or more Earth suns when they burn helium and carbon or just carbon in nuclear fusion reactions. Oxygen is part of the ‘ash’ formed by these nuclear fires. 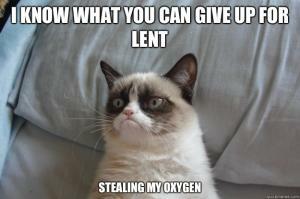 Oxygen (O2) is unstable in our planet’s atmosphere and must be constantly replenished by photosynthesis in green plants. 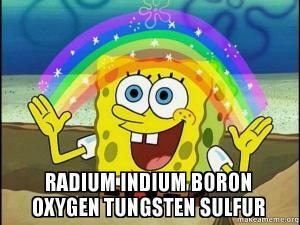 Without life, our atmosphere would contain almost no O2. 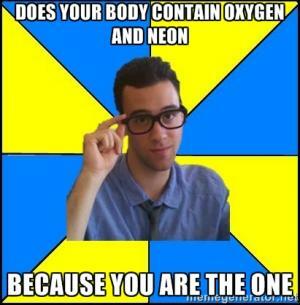 It is made of Oxygen & Neon!! 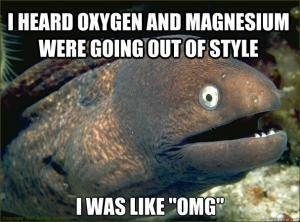 Oxygen, Magnesium! 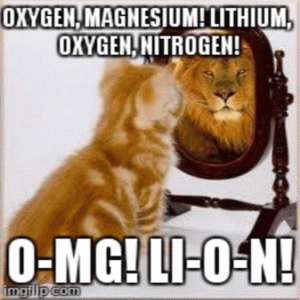 Lithium, Oxygen, Nitrogen! 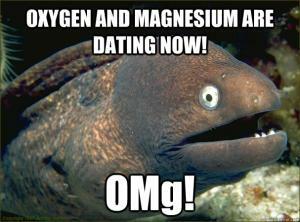 Oxygen and magnesium are dating now! cause you'll be screaming omg all night long!